These small creatures (which fit in the palm of your hand) are recognizable by the orange nodes that dot their backs and sides, in addition to their signature orange tails. Males are smaller than females. 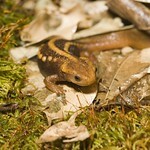 Emperor newts reside in the mountains of western China, Burma, India, Thailand and Nepal. This species is near the threatened status. 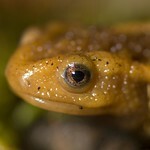 They occupy small pools in cool woodlands and forests near slow-moving water. 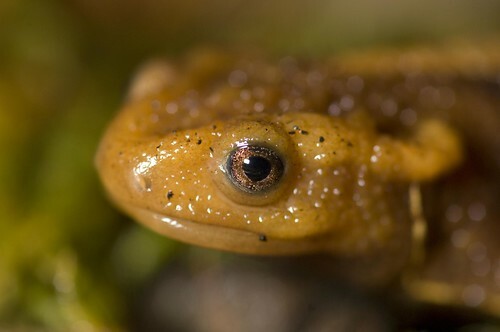 These newts prey on worms and insects such as crickets. 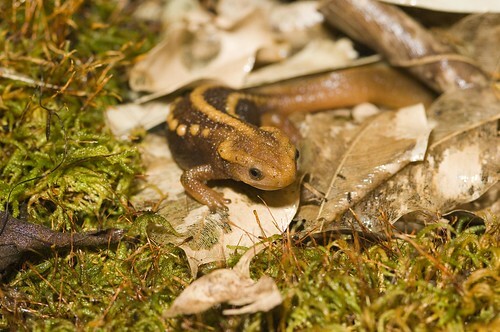 Some animals prey on emperor newts, though poisonous glands dissuade most potential predators. 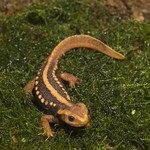 Also known as the Mandarin salamander, the emperor newt mates in rice paddies and marshes during the rainy season. After collecting sperm from the male, the female will lay as many as 100 eggs, which attach to nearby vegetation until hatching. Thick bones (particularly in the skull) serve as defense for the emperor newt. 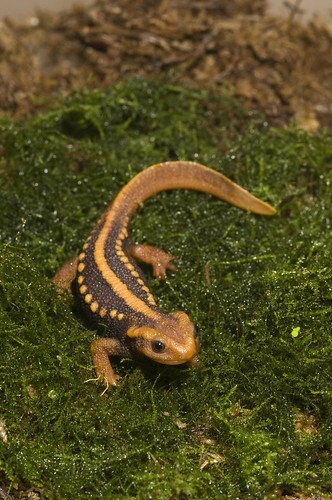 Those orange nodes on the newt's back are venom glands, which produce toxin that is highly lethal to small animals.